A resident of Goochland County, just west of Richmond, Grace T. Creasey serves as the Executive Director of the Virginia Council for Private Education. VCPE has a long history of leading and supporting excellence in private education in the Commonwealth through robust advocacy, accountability, and accreditation standards. Creasey became the Association’s Executive Director on November 1, 2017. She has exceptional experience as a private and public school educator, fundraiser, teacher, and administrator. She graduated from three of the Commonwealth’s prestigious private schools: The University of Richmond, Sweet Briar College, and Collegiate School. 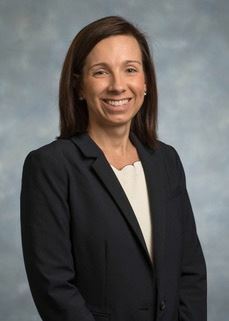 She has previously served at Blessed Sacrament Huguenot Catholic School, Goochland Middle School, Goochland High School, Maury High School, and McGuire Woods Consulting. She has been active in Virginia politics and is a strong advocate for private education and accountability for all schools.